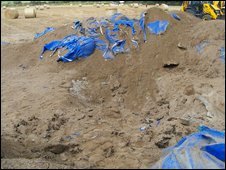 The discovery of an unexploded bomb in a field near the village of Ebberston has revealed even more of North Yorkshire's historic connections with the RAF. During the Second World War the airmen and aircraft of Bomber Command passed through Yorkshire in great numbers. It wasn't without loss though and in 1940 there were at least 18 air crashes in Ryedale alone. 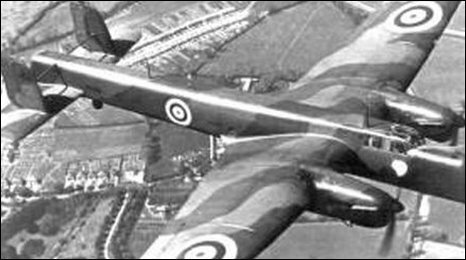 Air crash researcher and historian Richard Allenby discovered that the plane which came down at Ebberston was a Whitely Mark V based at RAF Linton on Ouse with 102 Squadron. There were five men on board; The pilot, 19-year-old Jack Crawford and second pilot Edward Osborn; Observation officers, Sergeant Walter Livesey and Sergeant George West and the Air Gunner, Sergeant Adams. Richard Allenby described what happened to the plane as it flew home on October 27 1940. "After being hit by flak over the German coast the aircraft apparently began to have trouble in one engine. "The crew struggled back to England but were unable to work out their position in order to land back at base after descending to 1000 feet. The pilot turned the aircraft around and made for the coast whilst climbing to 6000 feet when the one good engine began to splutter. The plane must have been carrying at least one bomb as it flew home. "The order to bale out was given and all the crew survived the jump. Sergeant Livesey was reported to have landed close to a search light site at Harwood Dale, so presumably the aircraft came back in over the coast, north of Scarborough when the order to bale out was given. "Other crew members landed at Scalby, Hackness and further inland at Allerston, where it is assumed the pilot landed, being closest to the crash site and assuming he was last to leave." The aircraft crashed into a small field just south of Ebberston and part of the wreckage caught fire. Locals recall a wing overhanging the Scarborough to Pickering railway line. Sadly three of the crew would die just a month later as Richard Allenby found out: "Osborn, Livesey and West were all part of a crew flying a Whitley P5077 DY-B, also of 102 Squadron. The aircraft left Topcliffe never to be seen again." The pilot, Jack Crawford, also lost his life when his plane crashed over France in 1944.